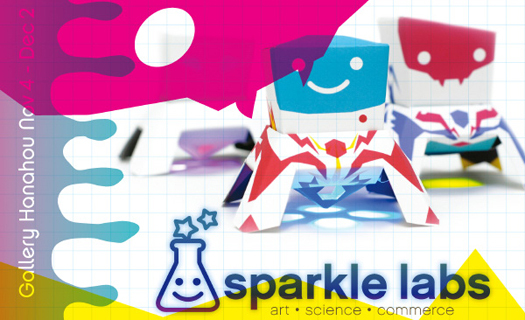 Sparkle Labs will be showing a wide range of projects in Gallery Hanahou. Other artists will also be customizing some Papertronics Lunar Landers. Meditate on the supernatural glow of our new Papertronics. Learn new skills. The exhibit will be up all of November in Soho, NYC. Opening November 4, 2010 6-9pm.